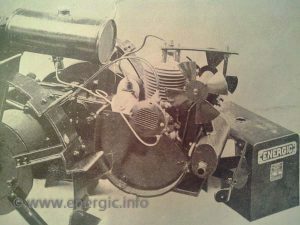 The very earliest fans used on the Energic moteurs where made from a solid circular heavy plate cut and bent inwards to form a fan – on the very first B1’s (below). Energic pressed plate on the earlist B1 models 1929/30. 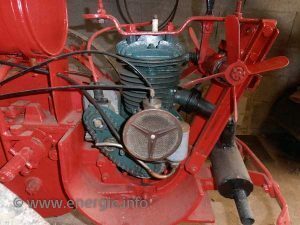 To a dual pressed lighter plate operated on a axle without forced lubrication below in a Energic motoculteur B5. Energic pressed plate 4 spoke on the earlist B5 models. 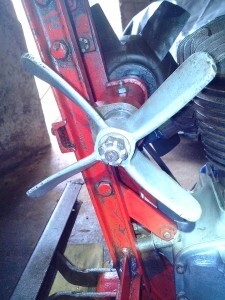 To a to a 4 spoke angled cast aluminium fan (hand finished) found on the Energic motoculteur C7 B4L, C7 S Bloc and D9 S Bloc. 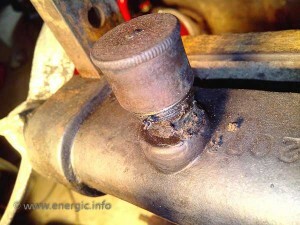 (lubricated by a revolving click grease reservoir cup) on a slid axle. 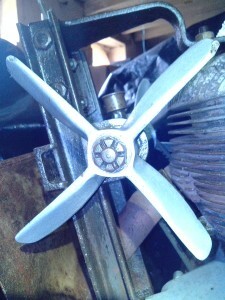 The aluminium fan proved effective but quite fragile and would deform easily and break when knocked as they often where. These fans with blades intact are difficult to find. 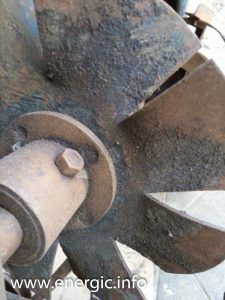 Often re cast aluminium fans, where manufactured to replicate the originals but where of varying size, non uniform construction and often of different sizes. 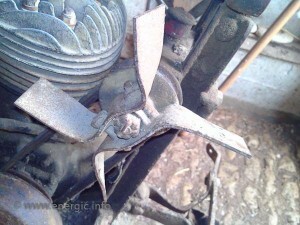 Many people improvised with alternative fan blades, from welding’s to car fans. 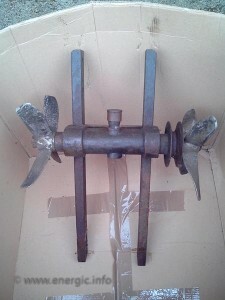 A perfect aluminium cast fan – rare. 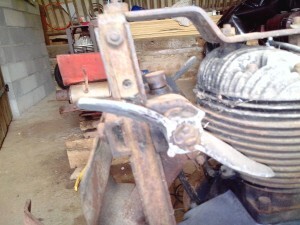 Re cast aluminium fans not to correct size. Yet another broken one. Hard to find – a perfect fan. Alternative fan construction on a C7. And another ! found on a D9. 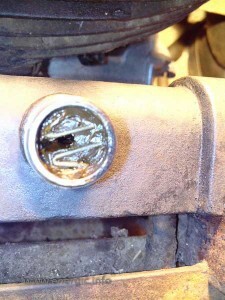 Grease reservoir, twist to dispense. 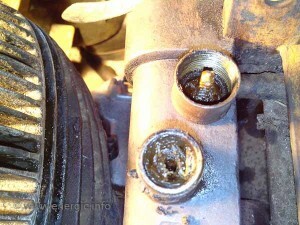 Internal grease cup and click stem. 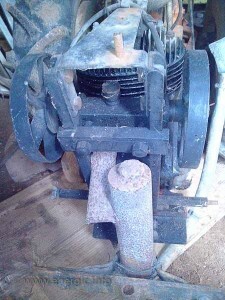 Rare – internal spring to click stem.